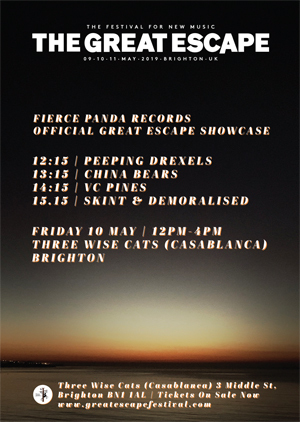 Dingus Khan are fast turning into everybody���s favourite sixteen-legged psychmetalpop groove machine. 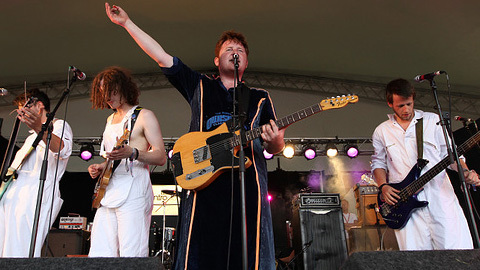 The Manningtree, Essex eight-piece released the deluxe version of their immense ���Support Mistley Swans��� album earlier this year on fierce panda and have been described as representing the missing link between Blur and Frank Zappa & The Mothers Of Invention. Seen Dingus Khan Perform Forthcoming Single, Made A List, For The Bbc At Maida Vale, Yet? Dingus Khan Live At Maida Vale Videos Online Now. 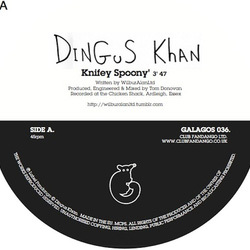 Dingus Khan 'knifey Spoony' Single Out Today - You Know You Want It!